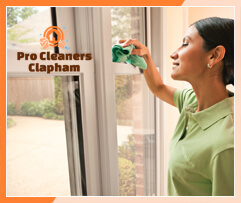 In case you want to receive reliable and high quality cleaning services that will help you to get your home entirely cleaned, trust Pro Cleaners Clapham. 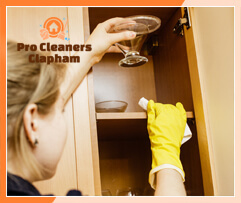 We currently offer our services in SW4 Clapham and we guarantee full dedication to the working process and attention to tiniest detail. Regardless of the day, we will expect your phone calls and we promise to respond to all of your questions. We offer a wide range of cleaning services that are implemented by professional and disciplined team of cleaners. We are ready to take up with the cleaning as soon as possible and to make your residential property shiny and sparkling clean. Our cleaning services are of a first class quality and during the years of hard work we have learnt how to manage with all the cleaning tasks in the fastest possible way. You can book our cleaning services in SW4 Clapham at a time that will be most convenient to you, due to your working schedule. One of the cleaning services that we currently provide is end of tenancy cleaning. If you want to take your deposit back in the fastest possible way, we will immediately send our trained cleaner, who will provide all the cleaning tasks that are required. 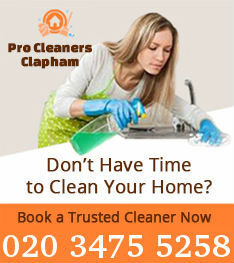 Another service that you can book is the domestic cleaning. Whenever you want to make your home shiny and clean in a professional way, we are ready to do this for you, at very affordable rates. In case you need perfect cleaning of your oven, you can benefit from our excellent oven cleaning. We use non-abrasive materials and cleaning equipment that is entirely chemically free. 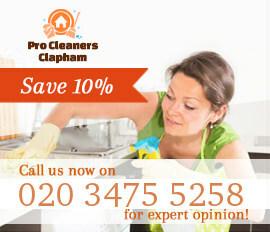 Choose our outstanding cleaning services, provided in SW4 Clapham and discuss everything with our reliable staff. We guarantee for the quality of each service that we offer and if you have other further questions, use our customer support centre. Clapham SW4 is a district of London, located in the southwest parts of the city. The area is part of 2 boroughs – borough of Wandsworth and borough of Lambeth. Nowadays the area is known as one of the places that has most restaurants, café shops, malls and places where people can have fun. Basically if you want to go somewhere and enjoy the time or if you are keen on nightlife, you should definitely consider Clapham. Many young people prefer the district and this is why you will find plenty of students who live there. The reason for this is because there are lots of leisure facilities. 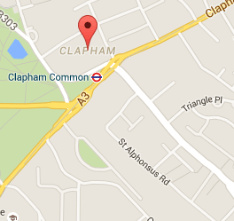 As for the sports part – there is a local football team that is called Clapham Rovers, which has won the FA Cup back in 1880. Copyright © 2019 Pro Cleaners Clapham. All Rights Reserved.